Wondering if The Balanced Life Sisterhood is a good fit for you? You’re in the right place. 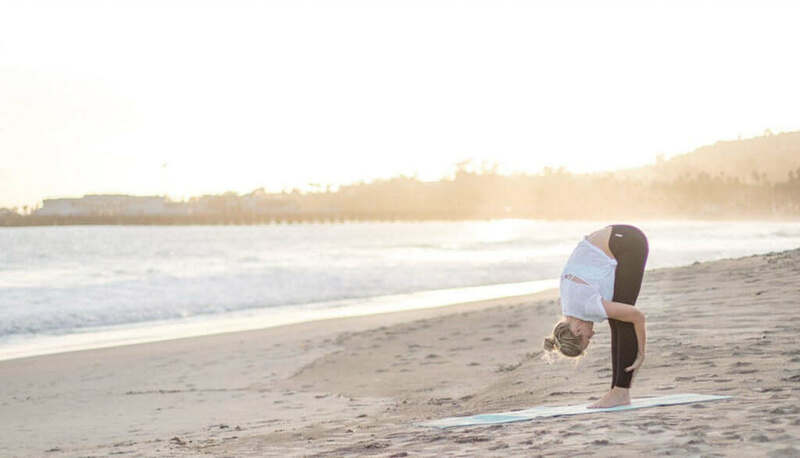 The Sisterhood is a one-of-a-kind online Pilates community. In this manifesto you’ll learn who we are, what we’re about, and what we do. Ultimately, there is a lot of competition and pressure to be perfect in the health and fitness world, AND WE’RE TIRED OF IT. We’re taking a different approach. If you find yourself nodding, smiling and maybe even shouting “amen!” while reading this manifesto, then welcome home. You’ve found your tribe. 1. We don’t care what kind of shape you’re in. You may be a marathon runner or you may be just starting this whole exercise thing from square one. We don’t care. We only care that you have a desire to take better care of your health and that you’re willing to take baby steps to get there. 2. We choose grace over guilt. There is no room for guilt in The Sisterhood. We’re open and honest about our journeys. We celebrate when we meet our goals and we’re honest when we go off track. There is no guilt or shame in our imperfections. We offer grace to others and ourselves. 3. We are dedicated to overcoming the “all or nothing” mentality. We believe that 10 minutes of exercise is better than no minutes of exercise. Something is always better than nothing. 4. 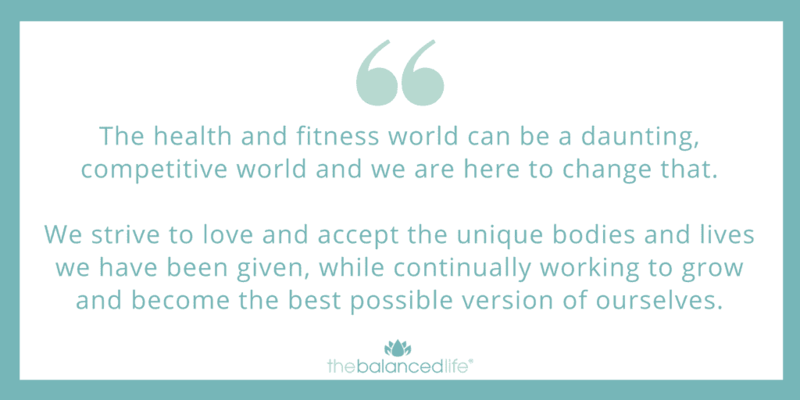 We believe that changing our internal dialogue is just as important (if not more important) than changing our bodies. While we love a good “before and after” picture, we know that what matters most cannot be captured in a photo. We know that our relationship with our body is more important than the size of our jeans. 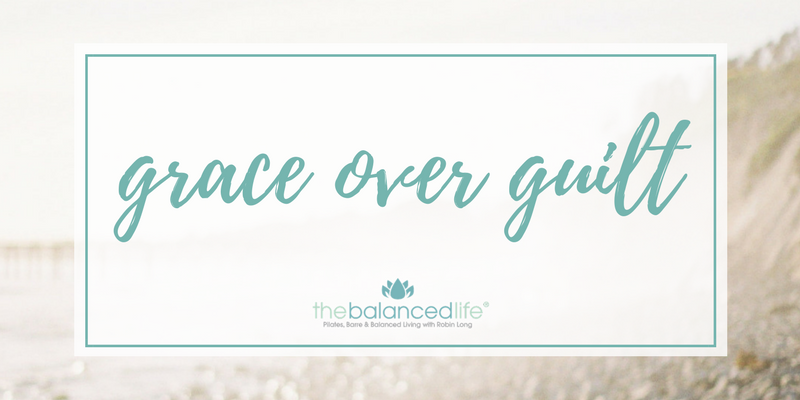 We believe that making peace with our bodies and transforming our inner dialogue is essential to true transformation and long-term success. 5. We don’t bite off more than we can chew. We’re not overhauling our entire life or setting unrealistic goals. We understand that our lives are full and small changes can have a profound impact on our health and well-being. 6. We value efficiency. Our time is precious. We are wives, friends, mothers, business owners, volunteers, grandmas, daughters and sisters. We don’t have hours to spend at the gym (and we definitely don’t have time for multiple blow drys in one day). Our workouts are quick, efficient and effective. 7. We focus on consistency. We’re tired of starting and stopping. We’re tired of feeling like we “failed” because we didn’t stick to an exercise routine. Our workouts are short and practical so that we are able to stick with them for the long haul. We focus on moving our bodies on a daily basis and building the habit of making Pilates exercise a part of our daily routine. 8. We believe that taking care of ourselves helps us to better care for others. As hard as it is to find time for ourselves, we know that it is worth it. We know that we have more to give when we fill our own cups. We support each other in the pursuit of self-care. 9. We view every day as a fresh start. We mess up. We skip workouts. We take vacations where our only exercise is walking from the pool to the guacamole station. AND THAT’S OKAY. Because every day is a fresh start. We don’t dwell on the past. We wake up each morning and start fresh. 10. We exercise because of the way it makes us feel, not to punish ourselves for eating cake. We’re tired of feeling like we “should” workout because we ate cake, candy, fries, etc. We don’t associate exercise with food, calories or punishment. We exercise because we love the way we feel when we’re done. 11. We take ownership and commit to being examples of balanced, healthy women to those around us. As members of The Sisterhood, we’ve committed to being examples of balance in our own lives, to encourage and inspire those around us. We don’t participate in “fat talk,” we wear swimsuits with pride (cellulite and all), we are mindful of the information we consume, we lead by example for the younger generation and we invite others to join us on this journey. 12. We believe in empowering other women and lifting others up. The Sisterhood is a comparison and judgment-free zone. Instead, we encourage, inspire, welcome and help our fellow sisters. 13. We are all on our own path. We understand that we are all in different stages of life and are working toward different goals. There is not ONE way to do things. The Sisterhood provides structure and support to help you on YOUR unique journey to a healthy, balanced life. 14. We LOVE Pilates. We love the way it makes us feel. We love the “hurts so good” burn. We love the way it reduces stress and calms our mind. And we love the results. Does this sound like something you want to be a part of? Then we can’t wait to get to know you! If you’re ready to be consistent with your workouts, join us. If you’re ready to ditch the “all or nothing” mentality and take small steps each day to improve your health, you’re in the right place. If you believe that it’s possible to get fit and improve your health without making yourself miserable, then The Sisterhood is the perfect place for you. If this doesn’t sound like you, that’s okay. If you’re looking for something more intense with a more grueling workout schedule, no hard feelings. If you’re looking for a drill sergeant, I’m not the instructor for you. But if you’re looking for a safe, supportive place where it’s okay to be honest and it’s okay to think about yourself and your well being, The Sisterhood is for you.